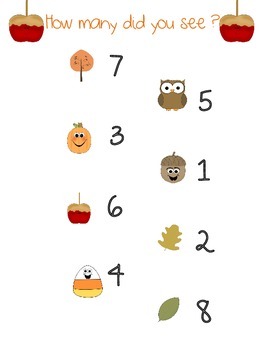 Number Recognition- Fall How many do you see? 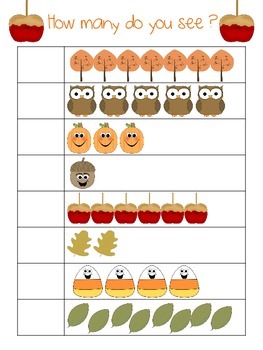 Students count fall objects and write how many they. 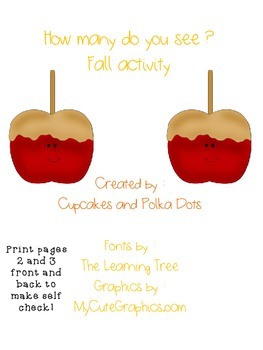 Print front and back to make a self check independent center.